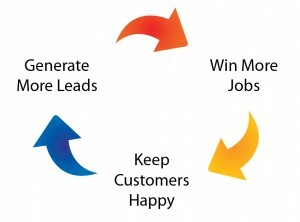 Who doesn’t want to generate more leads, close more sales and create an environment of happy customers? We all do! Because the life-cycle of any given project can be drawn out over months or years, your goal should be to build solid relationships with your customers. When you keep your customers happy, you can keep projects flowing with repeat business. This is where a CRM comes into play. Customer Relationship Management (CRM) allows you to take charge of customer relationships in an organized way. A CRM is a robust database system that enables businesses to organize and automate sales, marketing, customer service and support processes. 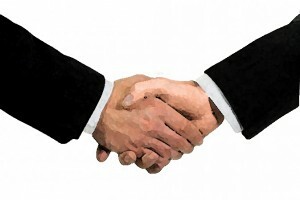 There are many ways to manage customer relationships. An Excel spreadsheet is a very simplistic version of a CRM, and perhaps when you first started your business, this is what you used to track customers through the sales process. But in today’s complicated and competitive environment, contractors need to be highly tuned into their prospects and customers’ needs to generate more leads, win more jobs and yes, keep them happy. While many construction executives recognize the power behind a CRM system, it has been difficult to find one that actually fits construction-specific needs. Search for “Construction CRM” on Google, and you’ll get dozens (or more) CRM possibilities. But now there is a better way. Construction management teams no longer have to try to make off-the-shelf CRM solutions work “well enough” for their needs. We recently introduced the ComputerEase CRM module. This is a fully-integrated CRM system that allows you to track, manage and nurture your prospects from the first contact to when they accept your bid … and beyond. What is unique to our CRM module is that it combines all the features you would expect from a robust CRM system into our existing construction accounting software package. Since the CRM is part of ComputerEase, the double-entry problem is completely eliminated. Once you secure a job, ComputerEase will move the data from the CRM to the rest of the system, including points of contact and any relevant job information. ComputerEase gives you a deeper picture of estimating, job costing, work-in-progress and other key information you need to make business decisions with confidence. You can also strategically choose to share some of this data with your customers, so they, too, can plan to complete future projects with more efficiency and profitability. This is value that you can offer that many other contractors wouldn’t think to provide, and over time you become an indispensable partner for future construction projects. This CRM module is truly designed specifically for what construction firms need to generate more leads, sell more jobs and keep their customers happy. Learn more about the ComputerEase CRM module.